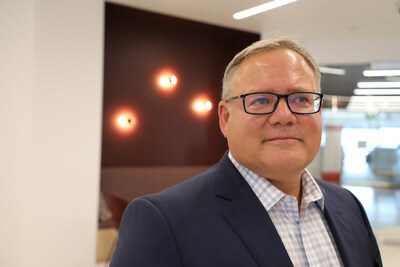 SANTA CLARA, California, March 20, 2019 /PRNewswire/ -- Veritas Technologies, a worldwide leader in enterprise data protection and software-defined storage, today announced the appointment of Todd Forsythe as chief marketing officer. "Todd's experience across cloud, software, hardware and services will help us accelerate our growth and reach new customers and partners," said Greg Hughes, chief executive officer, Veritas. Forsythe is an accomplished marketing executive with over 25 years of experience. He joins Veritas from Pure Storage, where he served as chief marketing officer. Prior to that, he was responsible for Worldwide Digital Marketing at Dell Technologies. Forsythe was previously SVP of Corporate Marketing at Dell EMC and has held marketing leadership roles at Salesforce, Oracle and Cisco. "I could not be more excited to join the Veritas team," said Todd Forsythe, chief marketing officer, Veritas. "As the market leader in enterprise data management, Veritas has an amazing brand and an immense opportunity to engage customers in creative ways." Forsythe will be based in Veritas' new Santa Clara, Calif. headquarters. Veritas Technologies is a global leader in enterprise data management – our software and solutions help organizations protect their mission-critical data. Tens of thousands of businesses, including 97% of Fortune 100 companies, rely on us every day to back up and recover their data, keep it secure and available, to guard against failure and achieve regulatory compliance. In today's digital economy, Veritas delivers technology that helps organizations reduce risks and capitalize on their most important digital asset – their data. Learn more at www.veritas.com or follow us on Twitter at @veritastechllc.